Verdant Capital has hired Raj Domun as Fund Manager for the Verdant Capital Hybrid Fund (the “Fund”), a USD 80 million Fund to invest in hybrid capital for Inclusive Financial Institutions in Africa. Raj joins Verdant Capital from a leading regional private equity investor, Kibo Capital Partners (“Kibo”). Raj had joined Kibo in 2007 as one of the main principals following a long and successful career in the telecoms sector in Mauritius & South Africa with Mauritius Telecom. 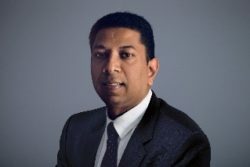 Raj will be relocating to Johannesburg to lead the team which will compromise existing experienced team members and new hires. Raj, along with Edmund Higenbottam will be the executive members on the investment committee for the fund. The independent investment committee members are, Andrew Tuckey (former CEO of Quale Munroe and former Vice Chairman of Barings Bank), Chris Low (former CEO of Letshego and former CEO of Standard Chartered Bank in each of South Africa and India), and Bruce Winson (co-founder and managing partner of Anson Funds, a leading US hedge fund). The fund has secured initial approval for a commitment from a leading European development finance institution and expects to close next year. Verdant Capital’s senior debt capital advisory and mergers & acquisitions businesses will continue unaffected.